Retired? Bored? Need to supplement your post-retirement income, or all of the above? Join the growing corps of active adults that are adding part-time positions to their retired life, and loving them. These jobs can help retirees to follow their passions, meet new people, and earn extra income. 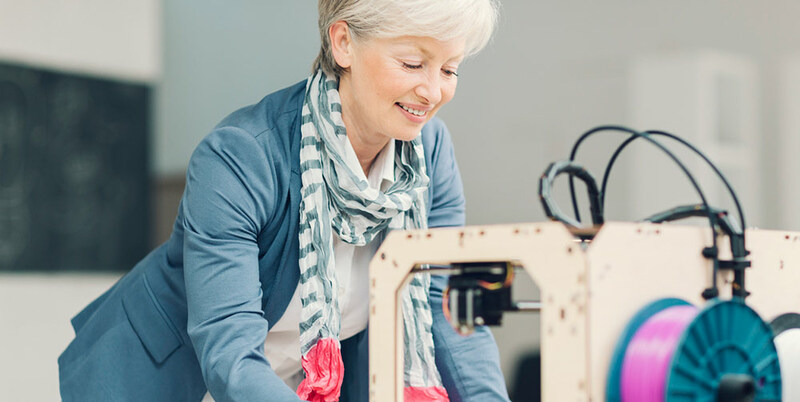 According to the Transamerica Center for Retirement Studies’ most recent annual retirement survey, 56% of respondents reported plans to remain in the workforce after they retire. Generally, this country’s active adults are far healthier than previous generations were at the same age. Many Baby Boomers are not ready for retirement communities and (thanks to social media) far too engaged to want to check out of the workforce completely. Retirement experts agree, active adults (Baby Boomers in particular) are doing retirement their way. Unending leisure in retirement has, for many, become obsolete. People in the U.S. are, in general, living longer and healthier than ever before. This means they’re physically able to keep working later in life, and they may need to keep working to support their longer lives. The survey shows Baby Boomers are choosing to remain in the workforce because they desire activity and stimulation, and retirement in its classic form just isn’t doing it for them. There are many social and intellectual advantages for active adults in working even a part-time job, and the extra income can be a great perk…if not a necessity. According to the survey, of the respondents who planned to keep working after retirement, 83% reported that financial reasons were a primary reason. Luckily, it’s a great time to get a post-retirement job. Unemployment rates are reaching all-time lows, and many part-time jobs are going unfilled. With a variety of jobs available, it is important to sort through the reasons why you as an active adult want to continue working. If your primary goal is to earn money, you may not want to take that minimum wage job as a clerk in a craft store. Instead, you may want to get into the sales force of an arts and crafts supplier, or start your own Etsy account and sport your skills online. Or, you may want to return to a less intensive position in your career field. One thing is for sure. The possibilities are endless in today’s gig economy. Websites like PatinaSolutions.com and YourEncore.com are great for connecting active seniors and retired professionals with solid organizations that could benefit from their expertise, and value their input. At the very least, a post-retirement position can fulfill the “keep busy” category. Activity and accountability is proven effective in fighting depression in senior living. And undertaking a well-researched employment search can lead you to a position that checks more boxes. In a 2017 article, the American Association for Retired Persons (AARP) suggests 10 positions that dovetail with variety of existing skills and aptitudes. Interpreter/translator – use your foreign language expertise to help you earn extra money with non-profits, businesses with foreign interests and educational institutions. Ride Hailing Driver – Uber and Lyft are waiting! Direct Sales – if sales is your thing, there are a plethora of direct sales opportunities at organizations that treat their reps right! Think Mary Kay and Cutco. Get some tips from the Direct Selling Association. Dog Walker/Pet Sitter – animal lovers and those who enjoy the outdoors, these positions are made for you! Retail Cashier – one of the easiest jobs to obtain in a variety of markets, this can be a fun way to keep your keypad skills sharp, stay busy and meet a variety of people. Crafter – turn your hobby into a money-maker on a number of platforms: craft shows, Etsy, in-home sales. Package Courier – with the Amazon factor having crept into nearly every shopper’s profile, there seems to be a never-ending need for workers to fill these jobs. Your Old Job, Part Time or consulting basis- Hey, it could work! Don’t laugh at #10. You may have been really ready to leave your old job behind before retirement, but going back to your career company on a part-time basis may give you energy and insight into the industry that you never had before. And this will reflect in a great way to your bosses and coworkers. Even if your dream post-career occupation isn’t listed, the article provides some excellent insights into finding that perfect job to complement the lifestyles of many active adults. Now that we’ve got you excited to go back to work, we need to drop a little bomb. If you’re under the age of 67, you may be giving up some of your Social Security benefits in going back to work. For example, for every $2 you earn above the annual limit of $17,040 for 2018, you’ll give up $1 in benefits. The math will change slightly year over year, and it’ll also change after you reach full retirement age. Because after age 67, Social Security will recalculate your benefit amount, and over time, you’ll get the benefits back that you didn’t receive because of your post-retirement earnings. In staying in the workforce after retirement, it’s likely that the experience will be both fulfilling and jarring. Learning new skills from a coworker half your age may not be great for your ego, but bringing your skills and experience to a new job can be the ticket to a lively retirement, and a big ego boost. For job-happy active adults looking for the opportunity to contribute in the retirement years, the current economic conditions and labor market offerings in Central Ohio are reason to celebrate!